Delivering our energy future today. Understanding renewable energy technology can help you choose the right solar energy solution for your home or business. 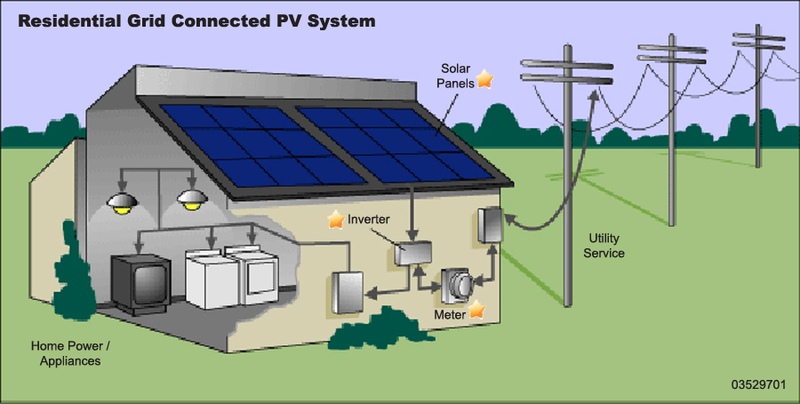 You have heard that solar energy is ecologically sound, producing no waste or pollution. But did you know…Every hour the sun beams to Earth more than enough energy to satisfy global energy needs for an entire year. Less than 0.1 percent of today’s heating, transportation and power comes from direct sunlight, even though it is now possible to meet all our energy needs with this simple, renewable resource. Just as plants derive energy through photosynthesis, a Solar PhotoVoltaic system converts energy from the sun into electricity via solar cells. Public domain image sourced from the United States Department Of Energy’s Office of Energy Efficiency and Renewable Energy (EERE) website.